Masala FM Tamil Radio Live Online . Listen Over 100 Tamil radio stations online . It plays the right choice of handpicked songs back to back, to serve a feast to listener’s ears. 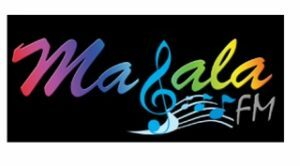 Masala FM is a 24by7 Online Cloud Radio headquartered in Hollywood – California – USA serving listeners in 40 over countries, aims at spreading the joy of unlimited music to its listeners anywhere, anytime across the globe. It strive to unite people of varied communities through the universal language, the Music.